What better way to celebrate America than some crazy cool cars? Ah, the Fourth of July –- when Americans roll out grills, watch fireworks and celebrate anything and everything about the United States. To mark the special day, we thought it would be fun to comb through ClassicCars.com and find some cars that have some patriotic paint jobs. We weren’t disappointed. Though we could have chosen from a large variety of cars that practically screamed “America” at the top of their exhausts, we chose our favorite four in honor of the day Americans were told about the Declaration of Independence. Fun fact: The document was actually signed on July 2, but the public-at-large weren’t informed until two days later. Anyway, enough about history. Enjoy the cool paint jobs and happy Fourth of July! Why paint your whole car in the colors of the American flag when the flag itself will do? 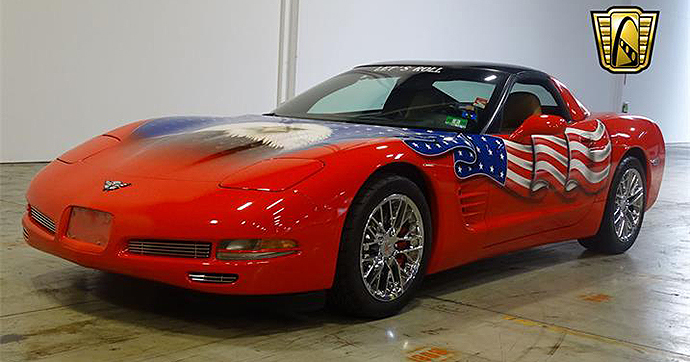 The car retains its factory red paint but the flag on either side and eagle on the hood were the results of a custom airbrush artists and intended to pay tribute to the terror attacks on 9/11. The windshield reads “Let’s roll,” an homage to the passengers of United 93 who said the phrase before they fought back against the hijackers. The plane – once destined for several possible landmarks in Washington, D.C. –- crashed in a Pennsylvania field. Meanwhile, the back window has stickers listing the planes that crashed that fateful day along with a death count. A later addendum notes that the man who planned the attack, Osama bin Laden, was later killed by U.S forces. A special plaque above the red-white-and-blue shifter reads “This car is dedicated to the Americans who lost their lives on 9/11/01.” The interior also features several other custom patriotic touches. The biggest homage sits under the hood. It includes a full portrait of the World Trade Center towers with the words “Never Forget” and plenty of parts painted with the American flag. 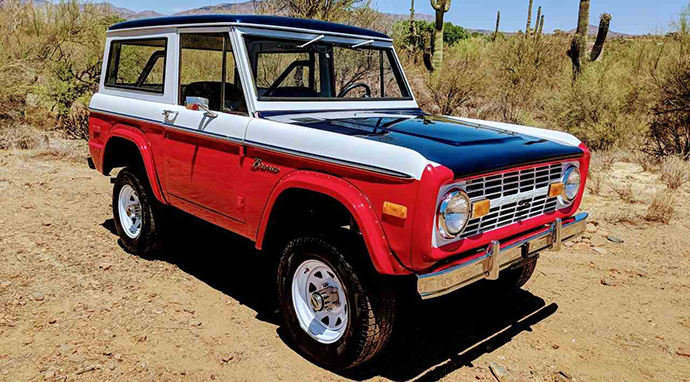 This Bronco comes with a tri-color paint job. The body is split between red and white while the blue from the hood is carried to the roof. Inside, the Ford has red carpet with blue formats complete with white piping, though the back seat has blue flooring. 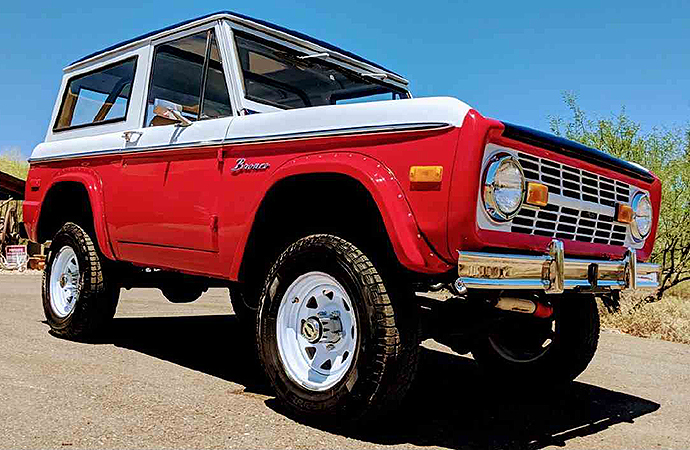 Basically, if George Washington were to drive a Bronco, we’re guessing this would be his choice. Much more subtle than the Corvette is this C10. The truck, painted a clean white, includes an American flag decal on the lower third. 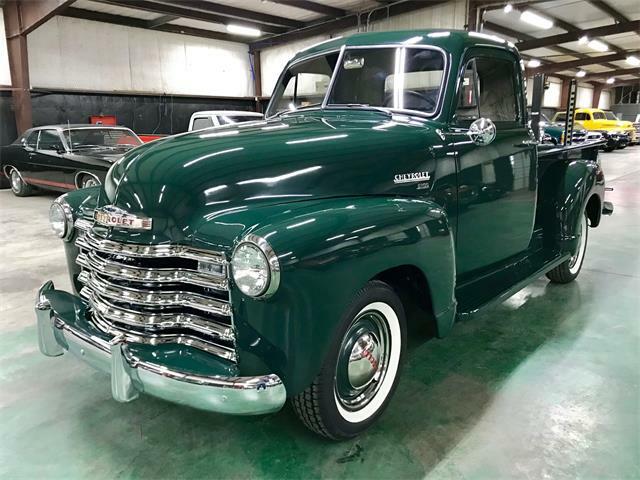 The seller said the graphic was meant to break up the appearance of the truck, but we think it’s a good tribute to an American classic -– especially one that had a 454 dropped under the hood. Per the seller, this AMX (American Motors Experimental) began life decked in Matador Red, but the white and blue scheme was later added as an homage to the 53 Hurst S/S models that were dragstrip ready. The car -– which is not an actual Hurst -– was given its look about 15 years ago. “This AMX is highly visible, and makes a very impressive statement year ’round, but even more so around the 4th of July,” the seller wrote.